Are the holidays a struggle for you? In a cheesy holiday movie, do you identify more with the character who’s closed themselves off from Christmas or the cheery Christmas town inhabitant who can’t comprehend why anyone would dislike Christmas? Do you feel like your heart, rather than being two sizes too small, is two sizes too big where everything hurts it? Outside, large snowflakes slide lazily down to the ground, music is white noise in the background, and everything seems so eerily still. The chatter of restaurants doesn’t break through and Christmas music doesn’t penetrate the heart. It can be tempting to hibernate, to draw into yourself and away from others who could only give a passing sympathetic nod to your pain. But as difficult as it may be, sometimes pushing through and spending time with others is a gift in and of itself. 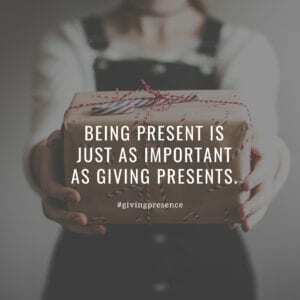 This holiday season, while perhaps you mourn loss or struggle to know how you’ll make it through, the challenge is giving presence. Sure, maybe give some presents, but that’s the least important thing in the weeks to come. 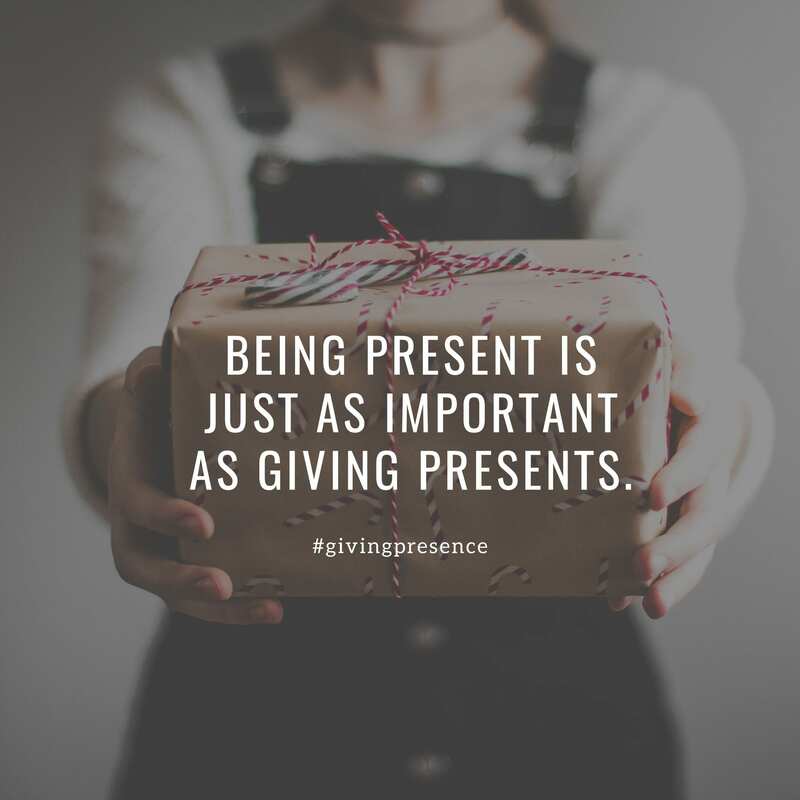 Being present is just as important as giving presents. You are a gift – valuable and irreplaceable, so give your hilarious, ironic, sarcastic, sassy, dry, presence. Give as the Magi did -three presents- only yours will be “three presence.” One to family, one to friends, and one to your community. Connect with your family: Spend time with your immediate family, and if that’s not an option — reach out to extended family, a grandparent, uncle or aunt that would welcome an unexpected visit. Connect with a friend: Meet them for coffee or lunch or hang out with a coworker outside of the office. Go beyond the gift card her e and give a gift of your time. Connect with your community: Bring a meal to someone who lives alone. Join a club or attend an event at a local faith community. Discovering a made-for-tv-movie-town that celebrates Christmas all year round, with their giant list of Christmas celebrations is highly improbable. It’s more likely to find others who need the same warmth, company, and cheer that you seek. Whoever you choose to give your presence to, be present in your moments with them. In the weeks following, you might be surprised where it leads you. It may lead down a path of eggnog and good cheer, and maybe you’ll find a balanced and full life well beyond the holiday season.